I try to get away every year or two for a hiking-based trip on my own. This year I escaped to spend some quality time in Utah. Other than my childhood visit to the Four Corners putting my foot across the state’s border, I have only spent an hour or two laid over in the Salt Lake City airport before this trip. After a colleague told me that Moab was one of the most beautiful places he’d hiked in recent memory, it has stuck out in my mind as a must-visit destination for a future getaway. 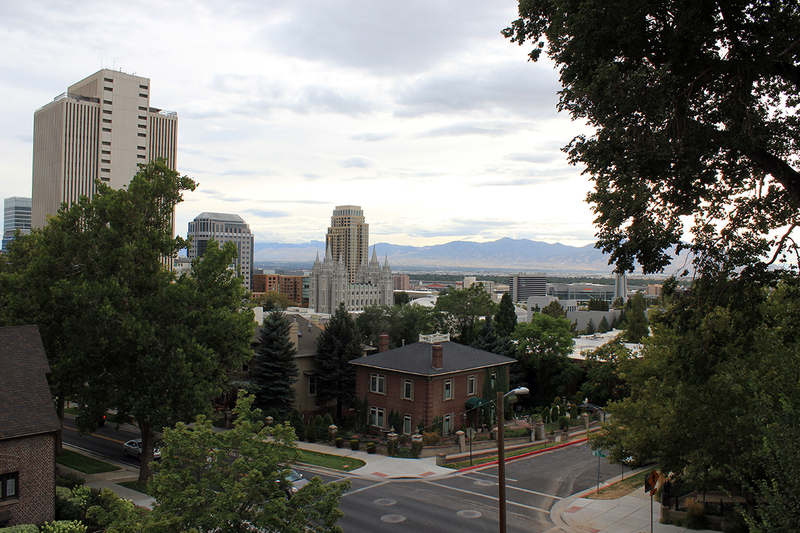 I only had a week or so to work with, and I knew I wanted a little city interlaced with my hiking excursions, so I planned for three days in Salt Lake City (with a dash of Park City) and three days in Moab, Utah which I cover in this separate post. On the recommendation of a friend who used to live in the area, I had a sushi dinner at Takashi. I had the fried calamari with wasabi aioli (way too much for one person) as an appetizer, as well as the Tiger’s Roll and Sebastian roll. The food was fast and tasty. 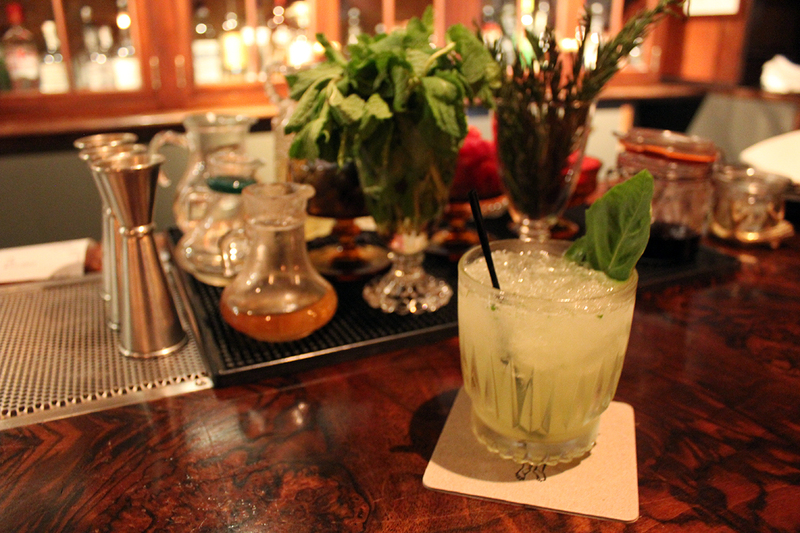 As a solo diner, I often agree to sit at the bar. I wish I hadn’t at this spot – it was incredibly crowded and a bit uncomfortable. Adding to my frustration, having no elbow room meant no dexterity and I dropped my chopsticks not once, but twice. The food and service staff were good, though. 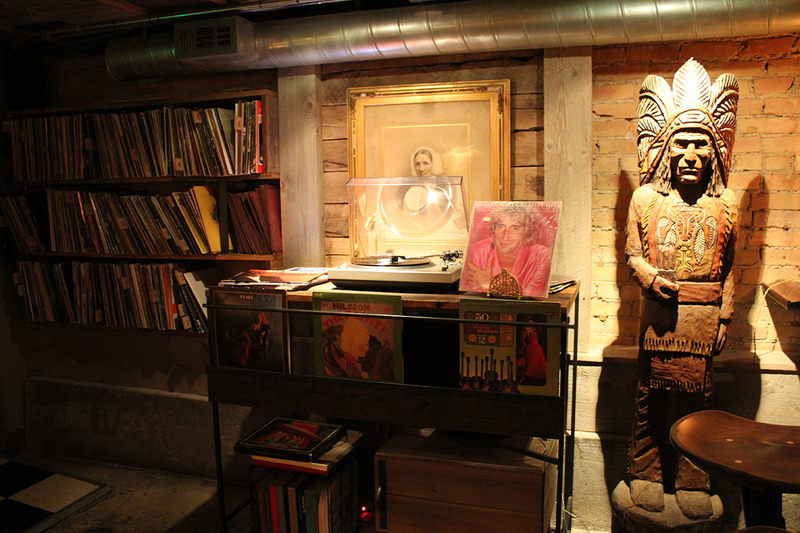 The Rest is a funky little cocktail bar is a speakeasy tucked underneath a restaurant called Bodega. Perhaps because it was only about 8:30 on a Thursday night, I had no trouble getting in the door, and it wasn’t all that crowded in the bar. 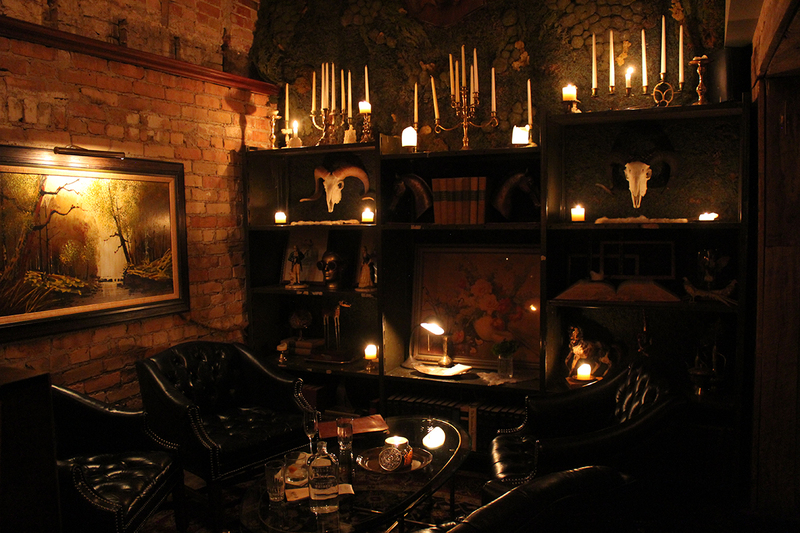 I sat at the bar The decor stood out – vinyl collection, dim lighting and candles, lots of hardwood, mounted game and a creative cocktail menu. After consulting with the mixologist behind the bar, we decided on a vodka cocktail called the Tea Time. 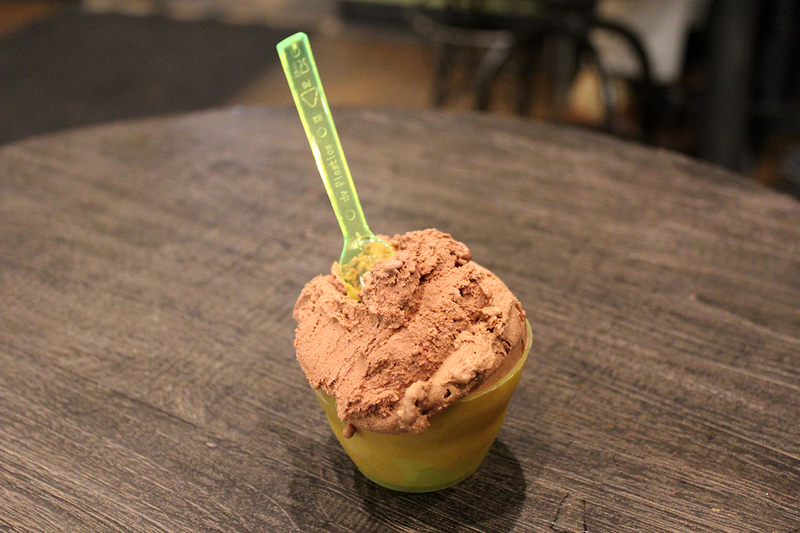 I was in the mood for a scoop so I stopped by Capo Gelateria Italiana for a cup of their Nutella ice cream. 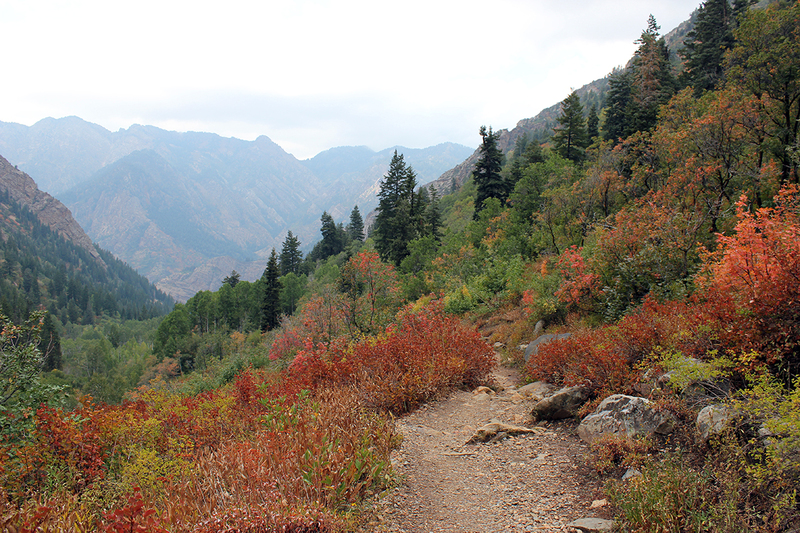 It was uncharacteristically stormy in Salt Lake City on Friday morning, so I didn’t start hiking until the afternoon. But I found plenty to do indoors! I started my day at the Roots Cafe – there was about a 20-minute wait on a Friday morning in a torrential downpour, so it must be good. I had their biscuits and gravy with vegetarian sausage and vegetarian gravy, which also came with a heaping pile of scrambled eggs and breakfast potatoes. Way too much food for any normal human, but SO good! And while I waited for the downpour to stop, I also wandered though the fabulous vintage store attached, The Old Flamingo. I got some wonderful decades-old postcards to send my pen pals, a wall poster, some stationary, a sticker – they had a great selection of retro goods to sift through. 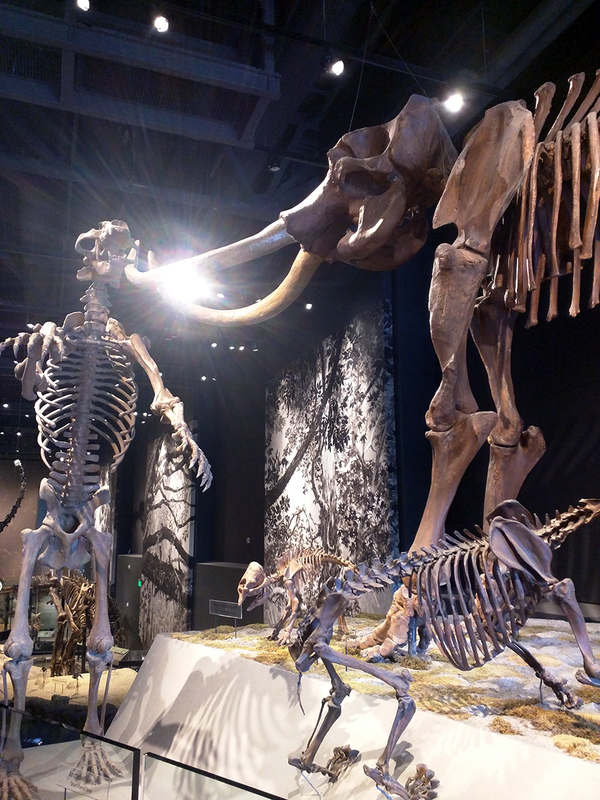 Still waiting to confirm the last of the rain had passed, I visited Salt Lake City’s Natural History Museum. It’s a bit of a drive to the outskirts of town, but they do a great job with the museum and it’s worth a visit. 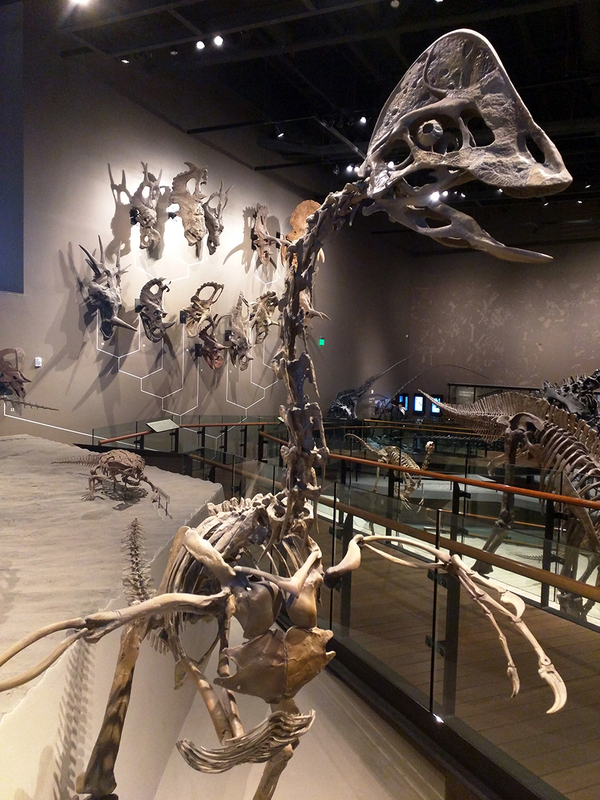 I started on the top floor and worked my way down through the indigenous cultures exhibit, the genes/organisms/ecosystems, the Utah landscapes, and the dinosaurs in about 1.5 to 2 hours without stopping to read every sign. 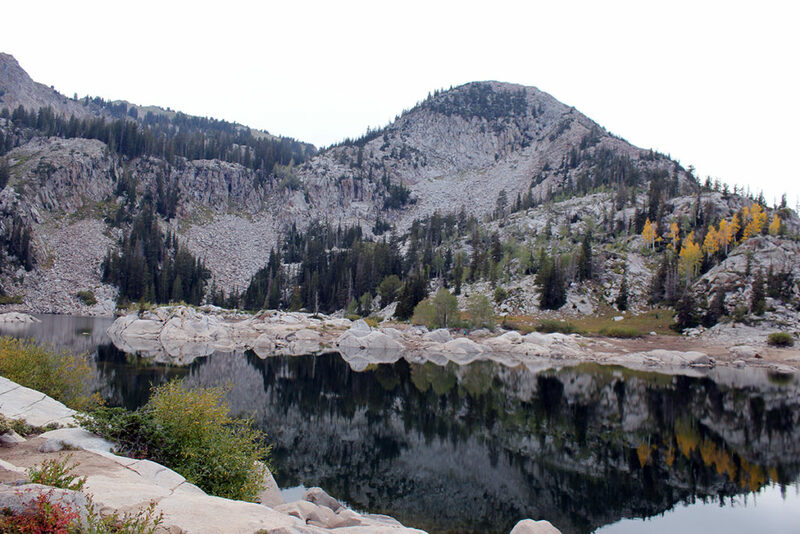 The Lake Blanche Trail in the Twin Peaks Wilderness National Forest off of Big Cottonwood Canyon is a couple miles up and back down with some steep climbing, a fairly challenging hike through much of it as a result. 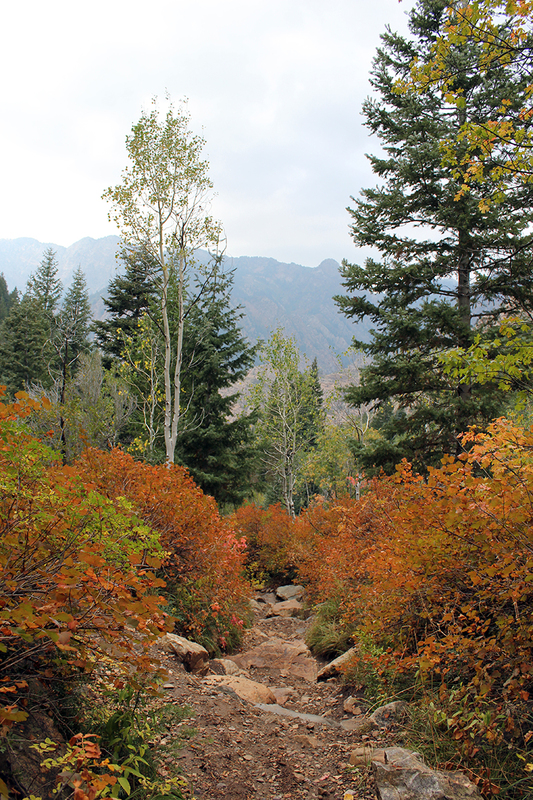 If you’re not accustomed to the altitude or a pretty tough physical challenge, this hike wouldn’t be for you, but it’s truly beautiful every step of the way. 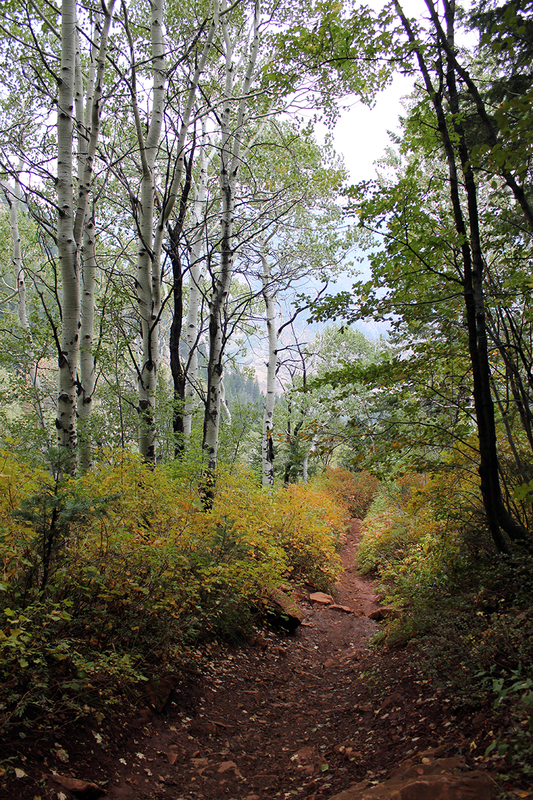 Despite the rain overnight and all morning, the hiking trail was in excellent shape. It was a lot of huffing and puffing. I need plenty of water and a snack on the way. Regrettably did not finish the hike all the way to the lake. My late start on the trail due to the rain shortened my day, sadly, and I didn’t want to risk coming down such a tricky trail after sundown. 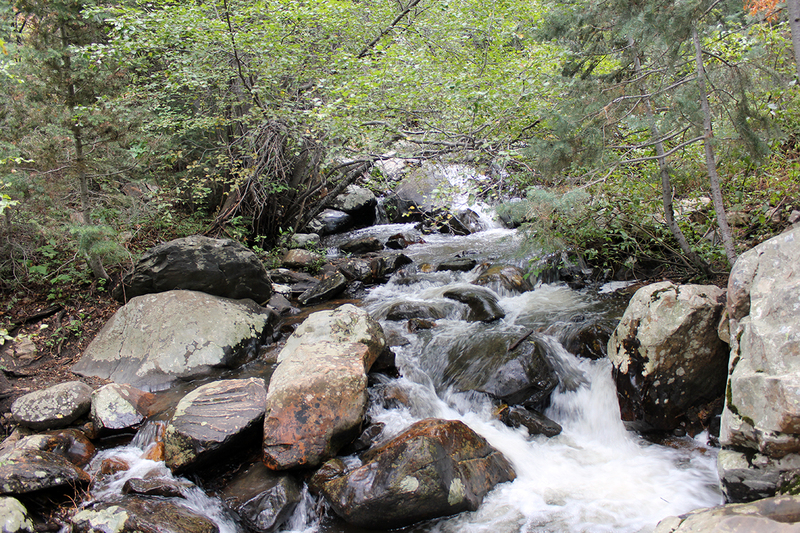 Expect a few solid hours of tough hiking, but I really enjoyed it around would do it again. After a wonderful hot shower, I was craving seafood and protein. I went to Current Fish and Oyster and sat at their bar for a glass of rose. On the recommendation of the bartender, I tried their grilled oysters with herb butter and crispy capers – SO GOOD. I followed that with their crab cakes with asparagus, celery root and lemon aioli. 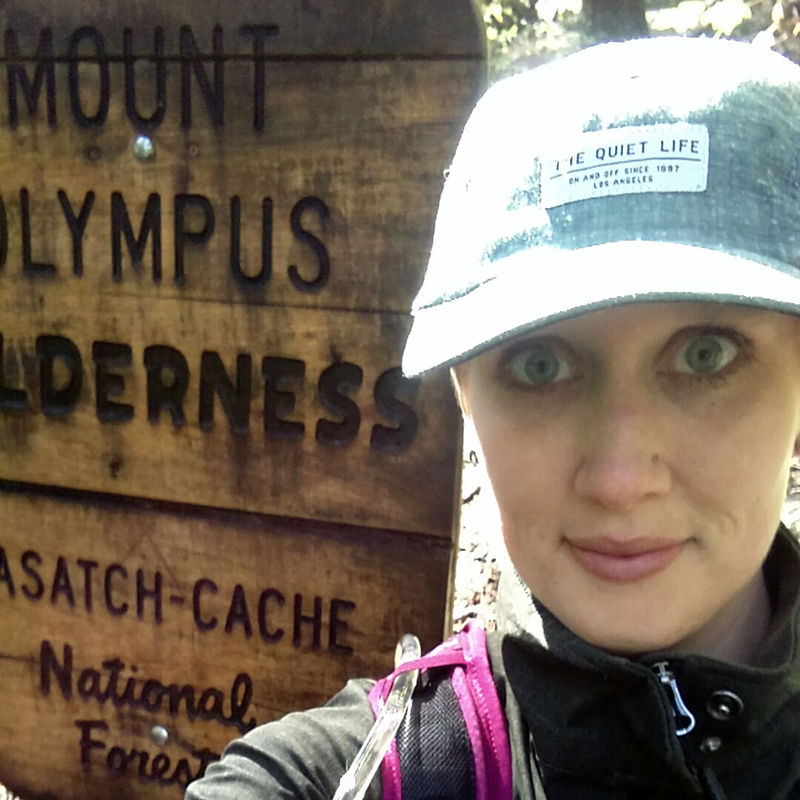 I met two nice locals at the bar who gave me plenty of great tips for good hikes to check out in both SLC and Moab – thank you gentlemen! 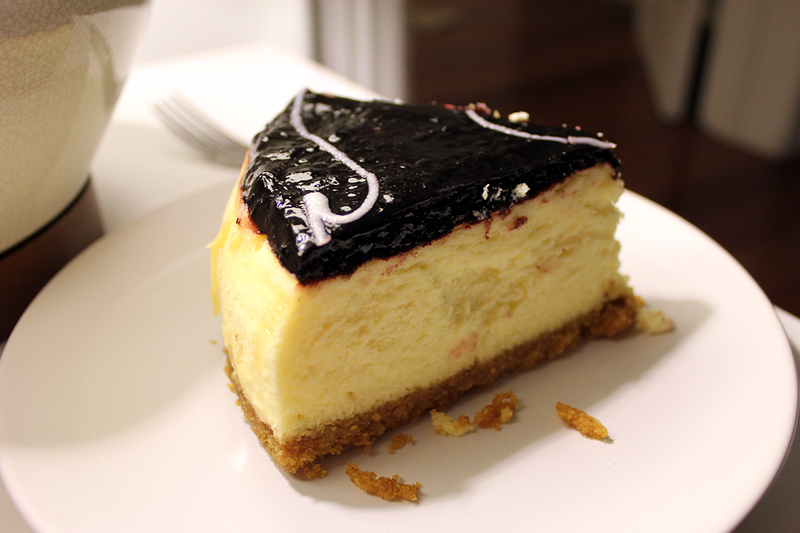 I had a sweet tooth after dinner, and conveniently the Gourmandise bakery was just a building or two away. This place had a line out the door. I got a generous slice of the blueberry cheeesecake, and a butter croissant for the following morning’s breakfast. What a tasty way to wind down a tough day of hiking. Even though it’s not ski season and the slopes aren’t my speed anyhow, I wanted to check out Park City. 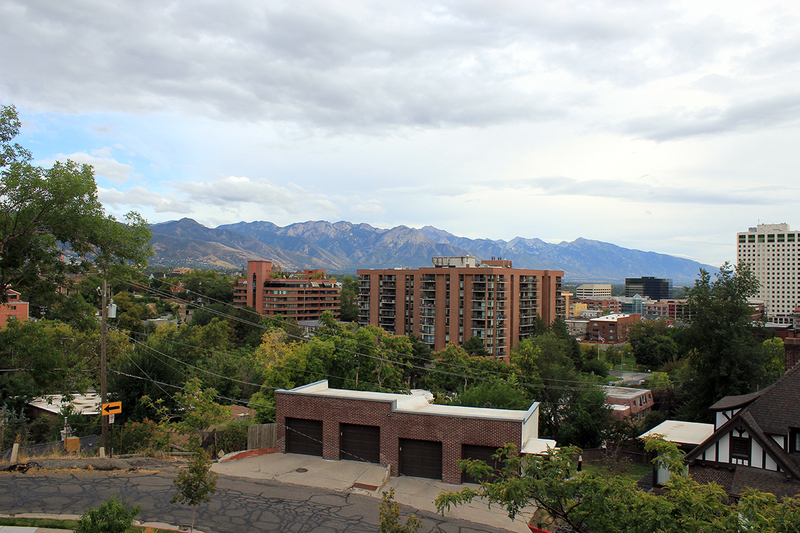 It’s about a 45-minute drive east of Salt Lake City with beautiful views of the Wasatch Range all around. The downtown Main Street is lined with buildings from a 19th Century silver mining era, but they’re now packed with shopping and restaurants for tourists. Most of my visit consisted of walking up and down Historic Main Street in Park City to people watch the tourists and see what shops were around. It seems to be a fairly slow, relaxed pace in town – people meander when they walk. 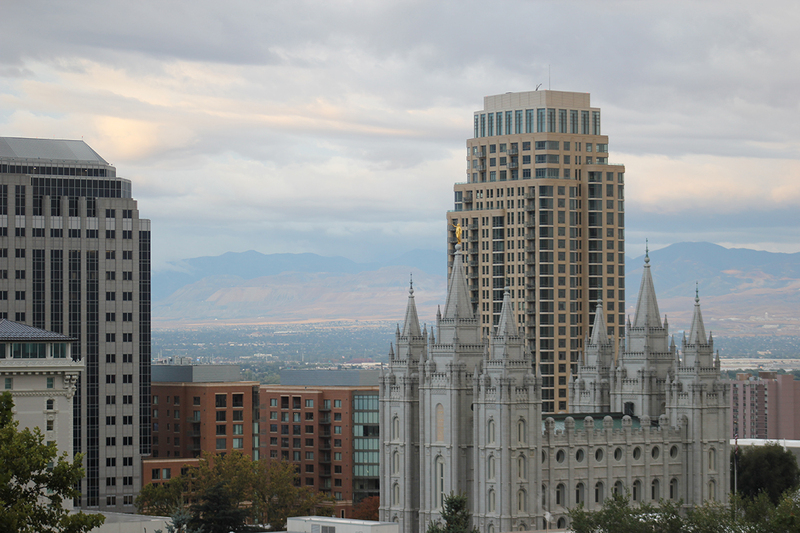 I wish I had checked out the Utah Olympic Park while I was there – it didn’t occur to me until too late. 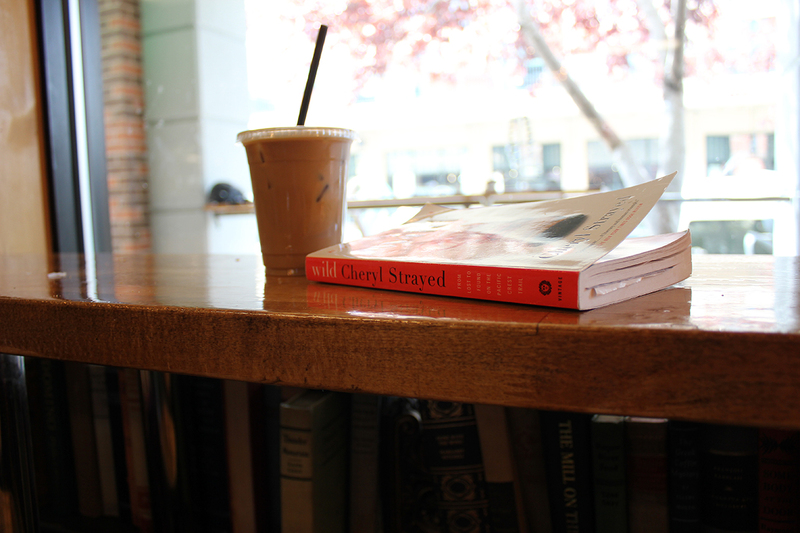 After walking through Park City several times and my hike earlier in the morning I stopped at Atticus Coffee & Teahouse for an iced coconut milk latte and to read. Friendly staff, good menu, plenty of gluten-free and dairy-free options, books and other items to browse, nice seating facing Main Street to watch the people wander by. 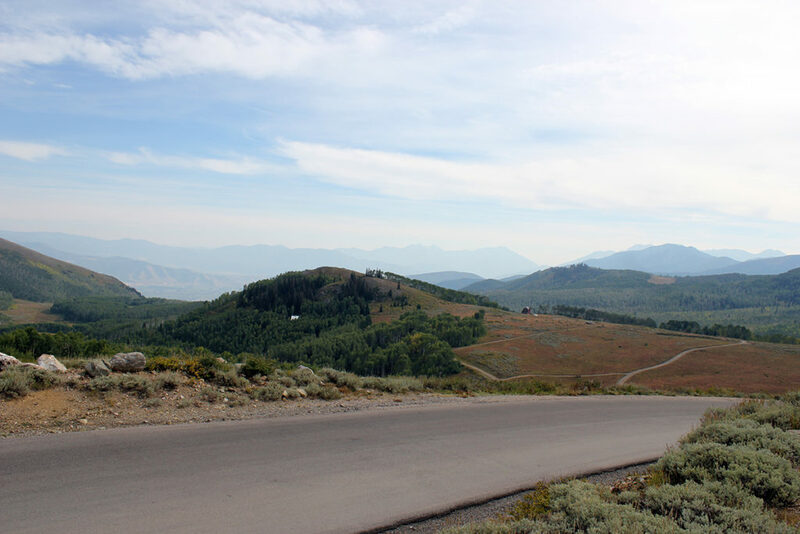 The drive from Park City to Brighton Lakes was equal parts unbelievably gorgeous and intimidating for someone afraid of heights. There were some parts where I might’ve been white-knuckling the steering wheel in the rental car. But seriously – unbelievably gorgeous mountain drive. It’s no surprise there are a number of pull-offs where you can snap gorgeous pictures. I was on a timeline to get to Brighton Lakes for an evening hike, though. I loved everything about this hike outside Brighton in the evening. It starts at the base near some ski lifts where there was ample parking. I hit the trail about 5:00 p.m. and took me just over two hours round trip including pauses to take in the scenery and snap photos at all three lakes. 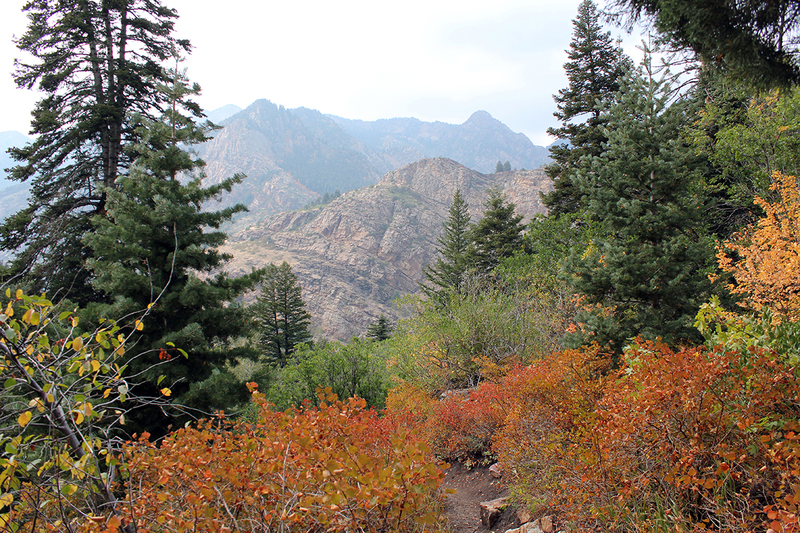 It wasn’t a terribly difficult hike, but a few steeper parts to hike through so I felt like I got a nice workout. The scenery was beautiful and varied. 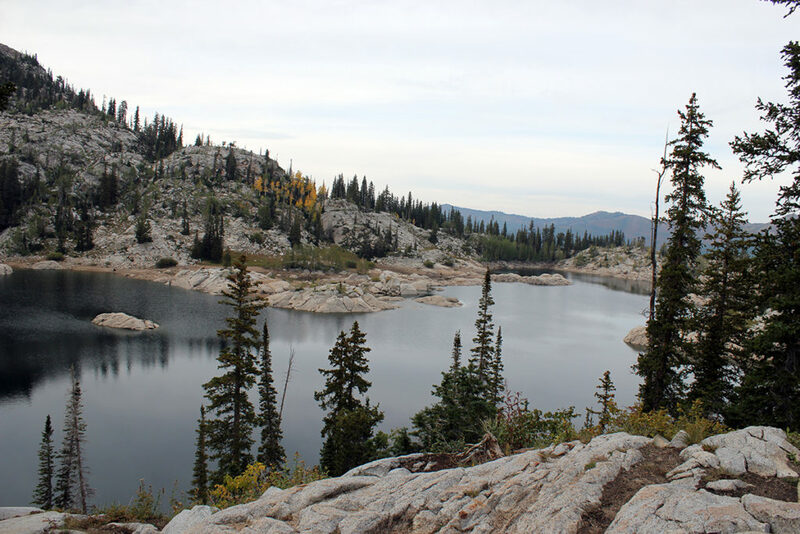 And at the end I was rewarded with beautiful lake views of Lake Mary, Lake Catherine and Lake Martha. 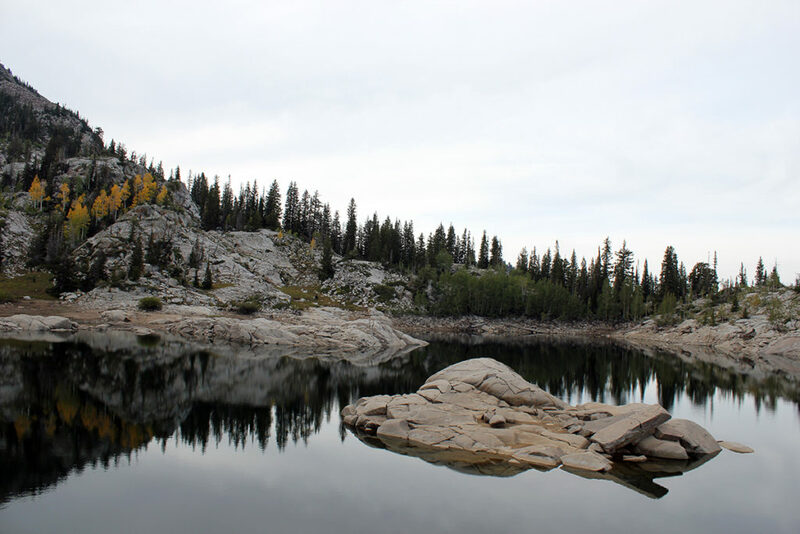 Lake Mary was just gorgeous. My photos below simply do not do the lake justice. They even make the lake look small! I really enjoyed this view especially, and the reflection of the mountains and trees in the pristine lake water. Two other hikers told me they saw a mother and baby moose at a distance crossing toward the lake (at a safe distance far separated by altitude) though sadly I was unable to spot them. I was off the trail between 7:00 and 7:30 before it got dark, and I got to enjoy a beautiful sunset drive through Big Cottonwood Canyon to get back to Salt Lake City. If you find yourself doing this drive at dusk, might I recommend Lord Huron as the soundtrack to your trip? I hobbled into Chanon Thai Cafe after a 12-mile hiking and walking day. I was dirty, limping, exhausted and super hungry. Right away I ordered a cup of hot tea and their Tofu Tod, a deep-fried tofu dish served with a sweet and sour sauce and ground cashews. I followed that with the Lard Naa, a thick rice noodle dish stir fried with black bean sauce, broccoli, baby corn, mushrooms, carrots, cabbage and tofu. The staff was friendly, the food was good and the price was right. As a donut connoisseur, I had to check out this highly rated donut shop on the way out of Salt Lake City before heading off to Moab. 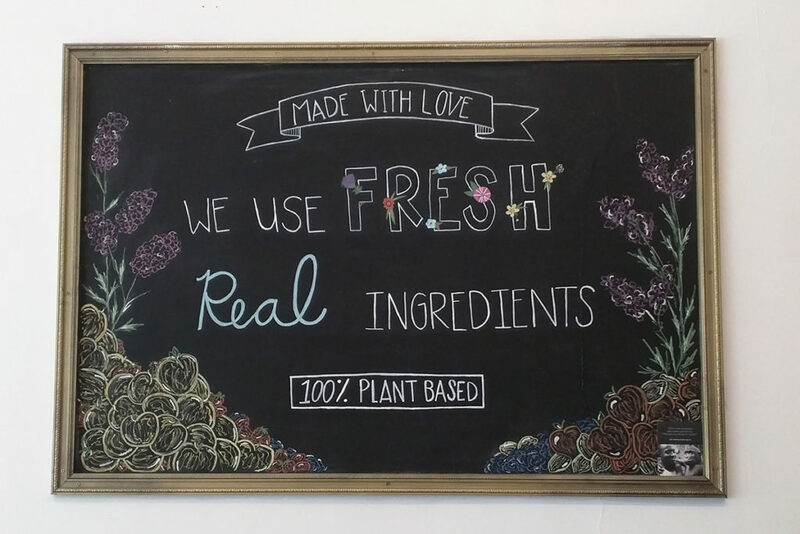 I came across these completely vegan, plant-based donuts in a host of unique flavors at The Big O Doughnuts. I walked in right as the shop opened at 9 a.m. 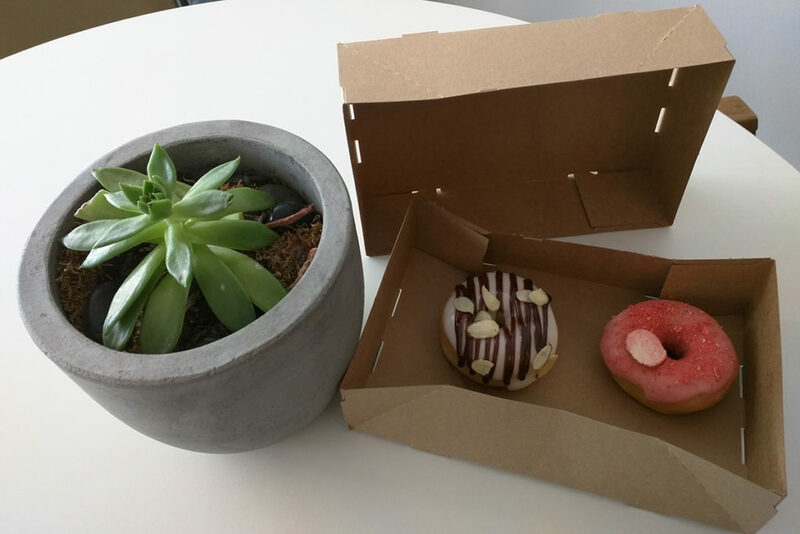 I picked out their chocolate almond donut right away, and asked the gal behind the counter what her personal favorite was for my second, and she recommended the strawberry donut. Sadly their espresso machine wasn’t warmed up yet, so I wasn’t able to get coffee, but not to worry – The People’s Coffee is right around the corner. While I was in and out rather quickly, this seems like a hip little coffee shop in Salt Lake City. 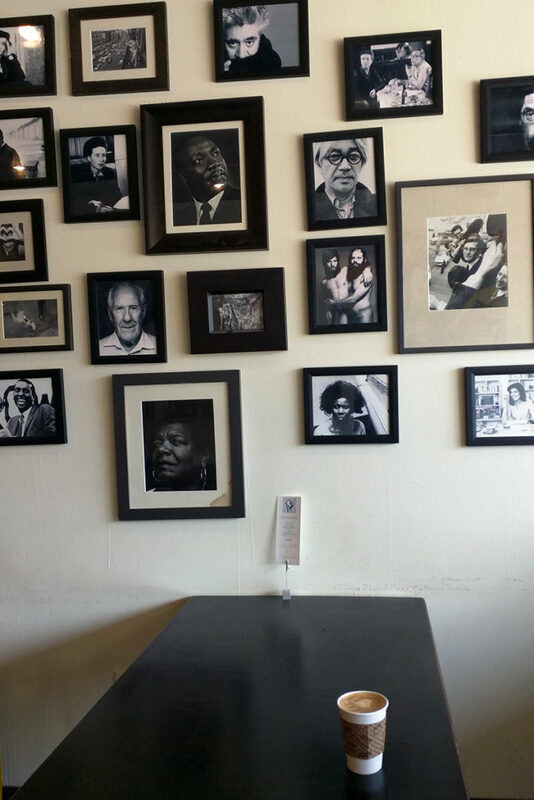 This sparsely decorated café was simple and minimalist, with the walls lined with classic black-and-white photos of many famous faces. The almond milk latte from The People’s Coffee did the trick to keep me alert on my four-hour drive to Moab. 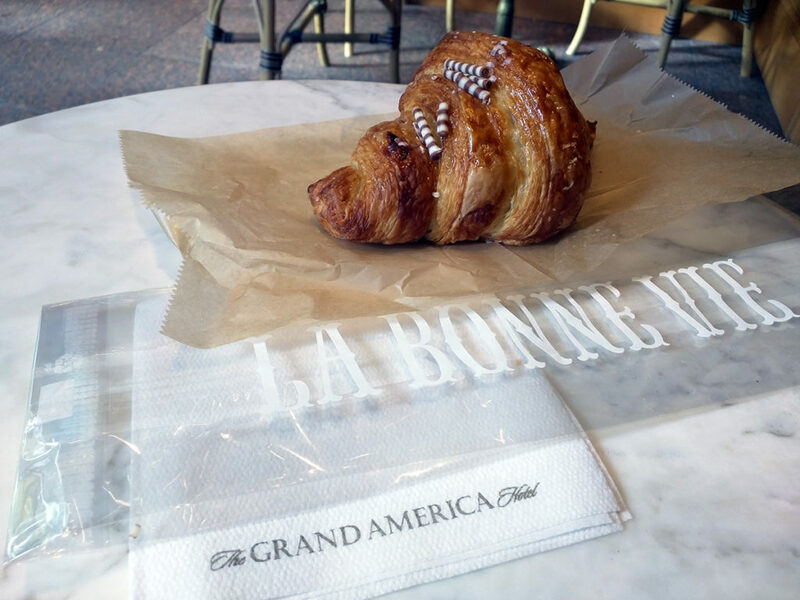 When I came back to Salt Lake City to fly home after my Moab trip, I visited the La Bonne Vie bakery inside the Grand America hotel. What better way to drown your sorrows and anxiety about vacation being over and going back to work the next day than a giant Nutella-filled croissant? There’s not much an expensive French style pastry can’t make a smidge better. ← Dog-Friendly Minneapolis Road Trip! What a great article! I loved reading about your adventure. With your wonderfully written words and beautiful pictures, I almost feel like I was there!